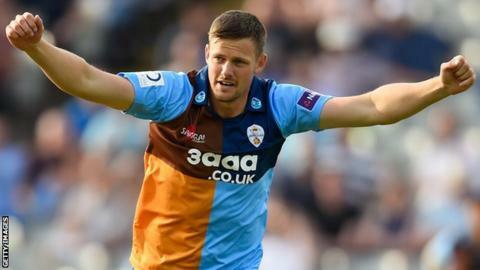 Derbyshire have released pace bowler Wayne White from his contract with immediate effect. The 28-year-old joined the club from Lancashire on a one-year deal. He heads their Championship bowling averages with 17 wickets in three games and has also taken 11 in the T20 Blast. "With a number of younger bowlers coming through, we've decided to part company a little earlier than anticipated," performance director Graeme Welch told the club website. "This gives Wayne a greater chance of securing a new contract and we wish him well for the future."